Not VW specific but I'll hav the 55 there. Maybe last show of the year. Helping Hearts Toy Run will be in Harrah, Ok, Sat., Nov. 6th at the Harrah Heritage Park, 9am till 3pm. There will be a bike show, car show, marble run, music, food, vendors and an auction. Grab a toy and come have a day of fun and fellowship. There will also be Door Prizes and Santa will be there. 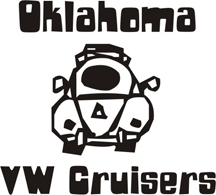 Re: Car Show in Harrah Good Cause. City peeps might take I40 to harrah road, go north, a few miles, turn left on 10th, at the corner. I think it is just north of 10th street on Harrah Rd.